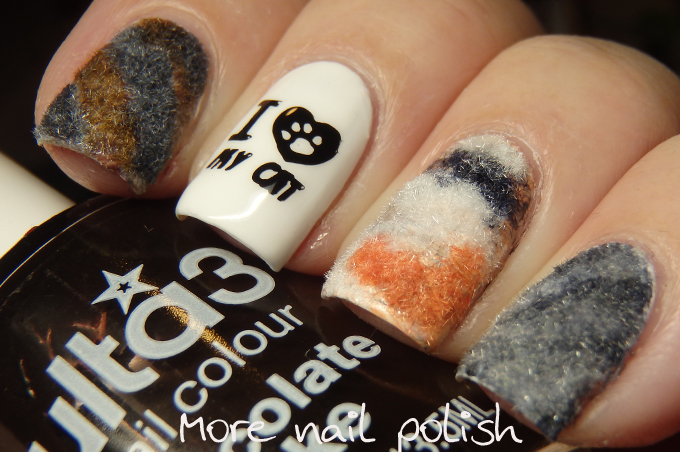 Day 4 and today I join the league of Crazy Cat and Nail Ladies. 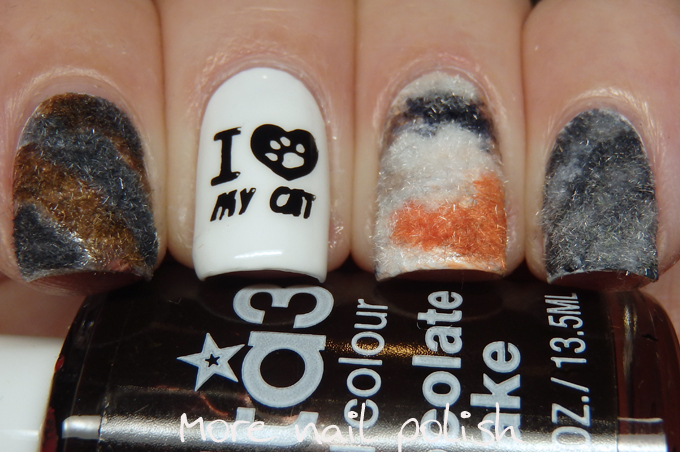 It's really incredible the number of nail polish ladies who are also crazy cat ladies. 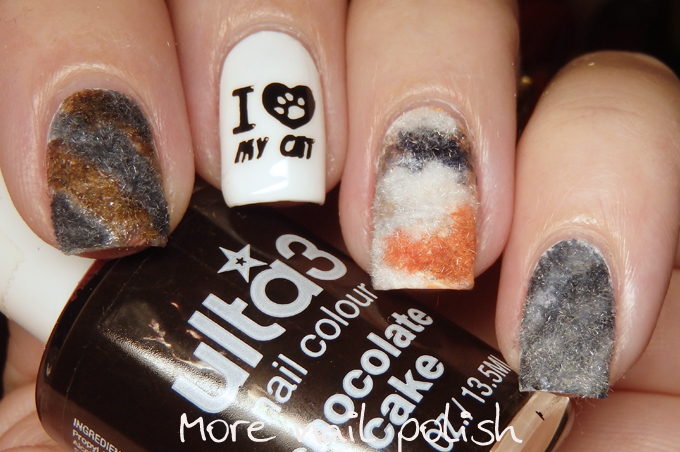 In fact two of the Digital Dozen have already posted nail art about their kitty cats, did you see them already? 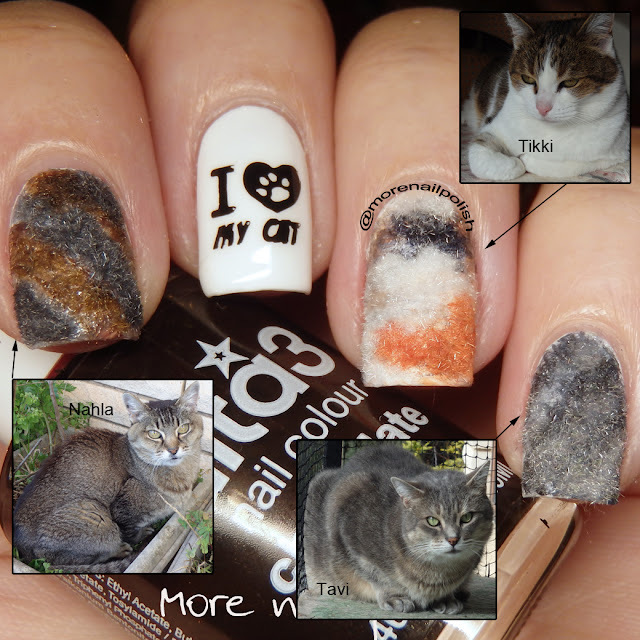 For each of my kittie fur nails I actually hand painted them all with fine brush strokes and everything, and then when I was just about finished I remembered by set of flocking powders. They hardly ever get used, and cat fur seemed to be perfect time to pull them out. Let's meet each of the girls. First up is Nahla, on my index finger. She is my old grandma kitty who is about 19 years old. She suffers all the same ailments that old cats do, like kidney failure and she is a tiny skinny little thing, but she is the most loving and cuddly kitty ever. The moment you sit down, she is on your lap. You often dont even realize that she is there cause she is so light. We found her at the local shops with a huge wound under her arm. No one seemed to own her so we took her to the local vet. She wasn't micro chipped, so after the vet stitched her up and she received antibiotics, she came home with us to her forever home. There have been a few times that we thought she was ready to cross the rainbow bridge, so every day we have with her is a bonus. We have quite a history of feeding stray cats at our place. We live near a nature reserve and think that is where most of the strays hung out. We would capture them, neuter them and then release them cause they are wild. My mum has had countless strays over the years and is now down to five cats! But as always, there is always another one that needs a loving forever home, so our numbers don't drop. 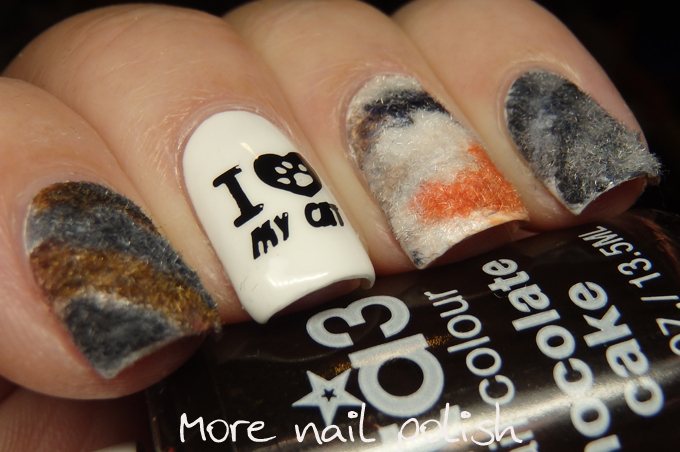 That is seriously the most creative nail art I've seen! You're a nail genius! Your kitties look so sweet!